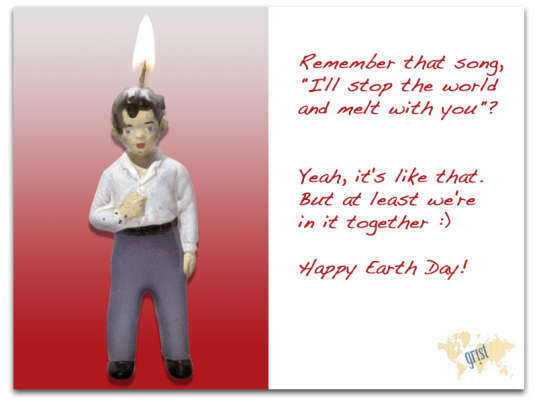 For some, Earth Day is a reconciliatory one day affair – a way to make all of your eco-wrongdoings from the past year disappear. While Earth Day has certainly provided critical impetus in years past for environmental awareness and action, it is not enough. In order to truly affect change, Earth Day must be every day – which is why Grist has started its Screw Earth Day campaign! “In many cases, Earth Day has been reduced to a sort of planetary sound bite,” said Chip Giller, founder and CEO of Grist. “Well, we think that bites. Our campaign is sending the message that it’s time to wake up and smell the planet: the environmental challenges of today require us to treat every day as an Earth day. One day is for amateurs.” We couldn’t agree more. Stay tuned with us here at Inhabitat for more posts on Earth Day this week and how you can turn your Earth Day into Earth Year.